I love Christmas books for my children and while Father Christmas and Snowmen firmly have their places in our collection, I also like a few books about the real meaning of Christmas. Boo leans about the Nativity at school and I think it would be unfair to not reflect our faith at home. Lion Children’s books have an array of beautiful books for Christmas (and all year round) that are religious-themed whilst still appealing to little ones. They sent us a selection to have a look at and my two could not be happier. Last year we received Tales from Christmas Wood which s still a firm favourite. This year, Tales from Christmas Wood has an accompanying activity book-perfect for keeping little ones amused on rainy days or at the table on Christmas Day. 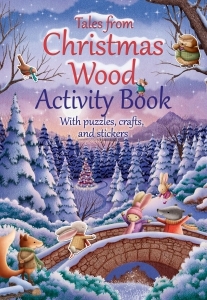 Priced at just £4.99, Christmas wood is still full of woodland creatures but children can join in with their festive adventures with puzzles, colouring and my personal nemesis but their favourite, stickers. There is even a recipe for gingerbread like mummy Mouse’s. 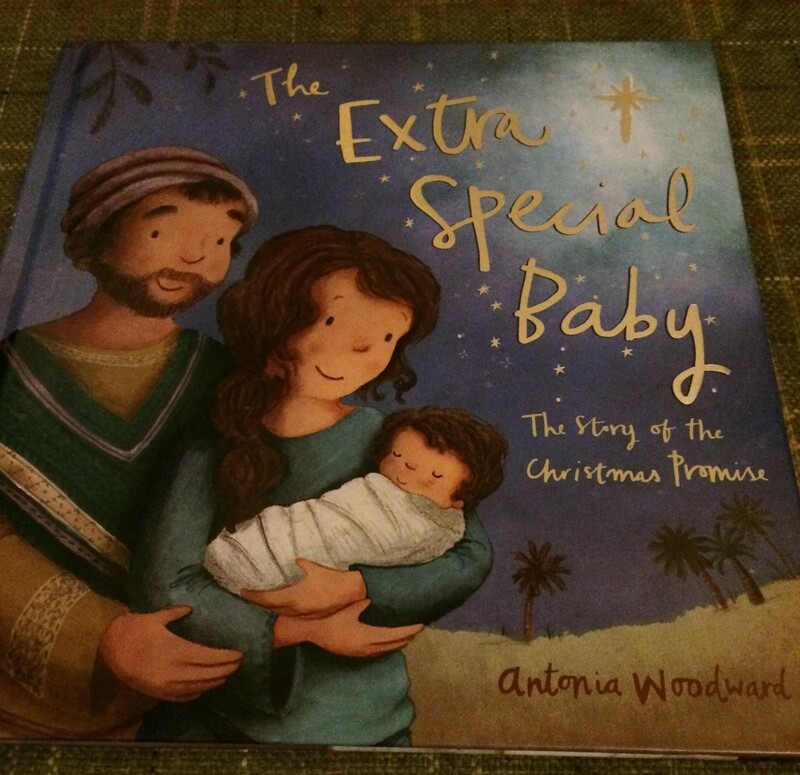 Next up was The Extra Special Baby by Antonia Woodward. Even though everyone knows the story of the Nativity, it is always nice to read someone else’s take on it-especially when it is aimed at children. The illustrations are delightful and both children (five and 22 months) got different things out of the book. For G, the younger one, he just liked pointing out the animals and making the sounds while Boo loved hearing the story and went off playing with our Nativity set after with Josesh (how she says it) and Mary ‘I like Mary,’ she announced. 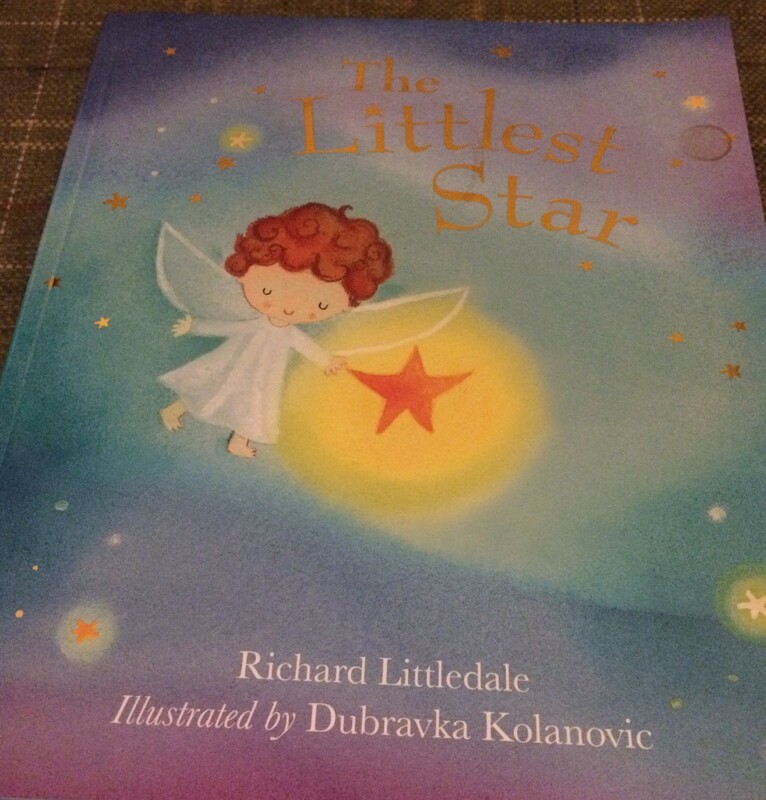 The Littlest Star by Richard Littledale was next and it was actually my personal favourite. It is the Nativity story again but from the perspective of the Star of Bethlehem, the littlest star who was chosen by God’s angel to do a very important job. The book then comes to the present day and encourages children to look for little stars themselves. 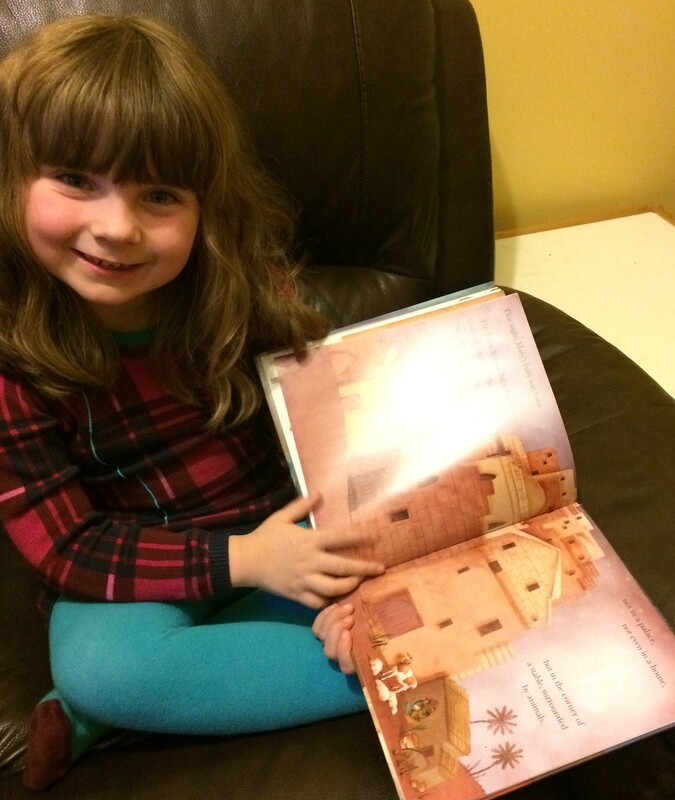 The last page encourages parents to use an apple to keep the star imagery alight. We all loved The Littlest Star and even a rendition of Twinkle Twinkle was sung before bed, the night we read it. 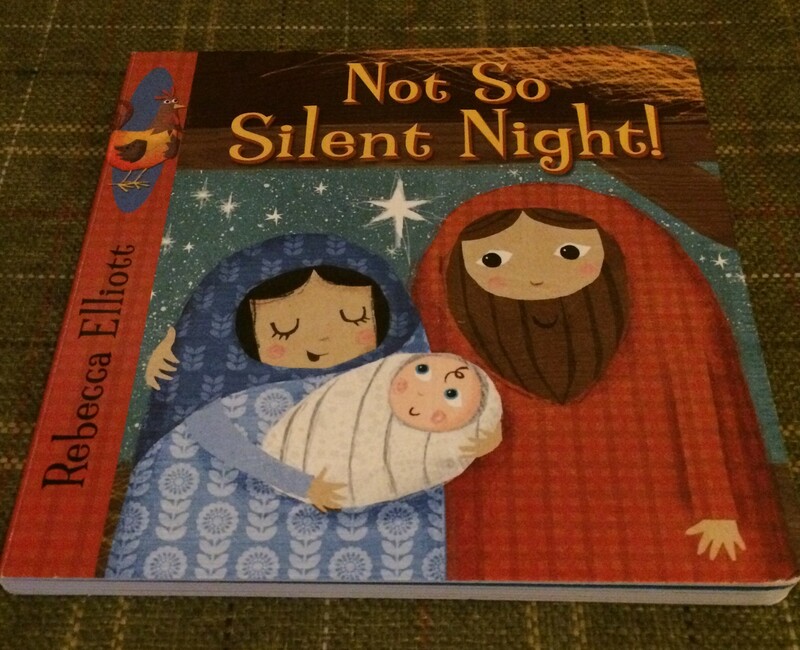 Our final book was aimed at G and was called Not So Silent Night by Rebecca Elliot. It is a board book and is full of pictures of animals and the noises they make-right up my little farmer’s street. As soon as he saw the book he whisked it off and started doing all the animal noises. The last page is just lovely and brought a tear to my eye. I will let you find out yourself what it says. Whether you are religious or not, buying for your own children or someone else’s, you cannot deny the appeal of the Nativity story and the story of Christmas. If you do not bring your children up in a faith yet still celebrate Christmas, I think it is even more important to explain to them what the season is all about and you can’t do that better than with one of these lovely books. We now have to decide which one to re-read on Christmas Eve. I think I might let them decide. *We were sent these books from a wide selection of Christmas books available from Lion Hudson Children’s books for the purpose of this review but all opinions are my own. These look like lovely books. I like the fact that tales from Christmas wood has an activity book with it, my two always get more into books when they can get involved with them.